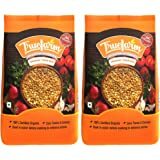 Manufacturer Mehrotra Consumer Products Pvt. 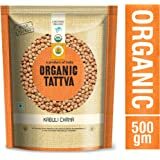 Ltd.
Our Mission: Our brand mission is to help people live a healthier, wholesome life by providing them with a variety of 100 percent certified, authentic organic foods. We value honesty, integrity and continual self-improvement. We are committed to a sustainable environment, zero-additive foods and complete customer-satisfaction. 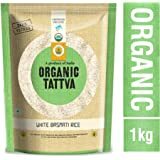 Brand philosophy: The brand organic tattva is based on the principles of health, ecology, fairness and care. 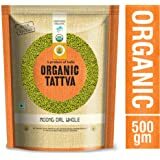 At organic tattva, the team works with accredited organic farmers who do not use fertilizers, pesticides and genetically modified seeds so that their consumers can enjoy the benefits of nature and relish nutritious, healthy, pure and chemical-free food, an important factor contributing to overall wellbeing. 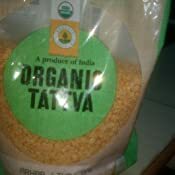 Taste is clearly different to non organic dal. 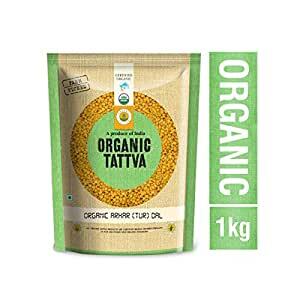 I think here onwards I am going to purchase organic arhar dal only. The rate of the product is little higher side . But the product is excellent. Very good quality.I made sambar. It was very.tasty. not polished. Give a try. 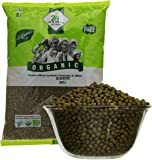 Organic, no pesticides. Highly recommend. But the cost should not be soooo steeep. 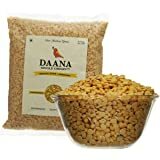 Good quality and reasonable pricing. 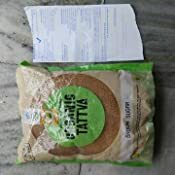 I got 500 grams at Rs.72 only! Takes a really long time to get cooked. 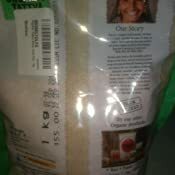 Maybe I received a bad batch but I'm definitely not buying it again.